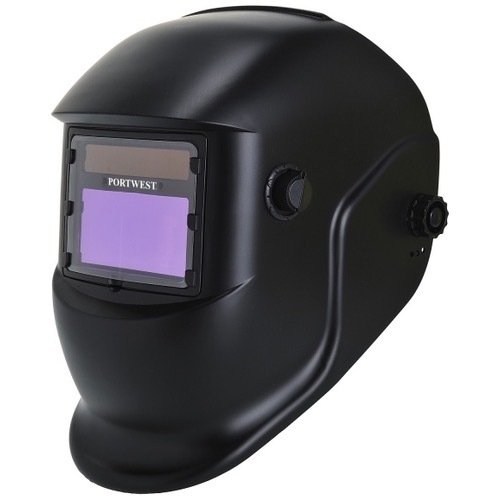 The PW65 is an auto-darkening welding helmet, which switches from a light to dark state when welding activity starts. Light state is DIN 4; Dark state is adjustable from DIN 9 to DIN 13 using the external knob. Response time from light to dark state is 0.04 milliseconds; return from dark to clear state in 0.03-0.04 sec. Power is supplied by solar cells with 2 built-in lithium batteries to offer power back-up for longer service life. No need for replacement batteries.